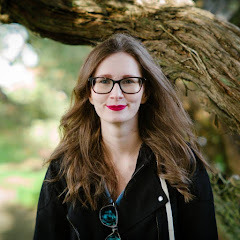 Yesterday I covered Ocean Salt and how much I love it not only for its balancing properties but its super scrubby-ness. 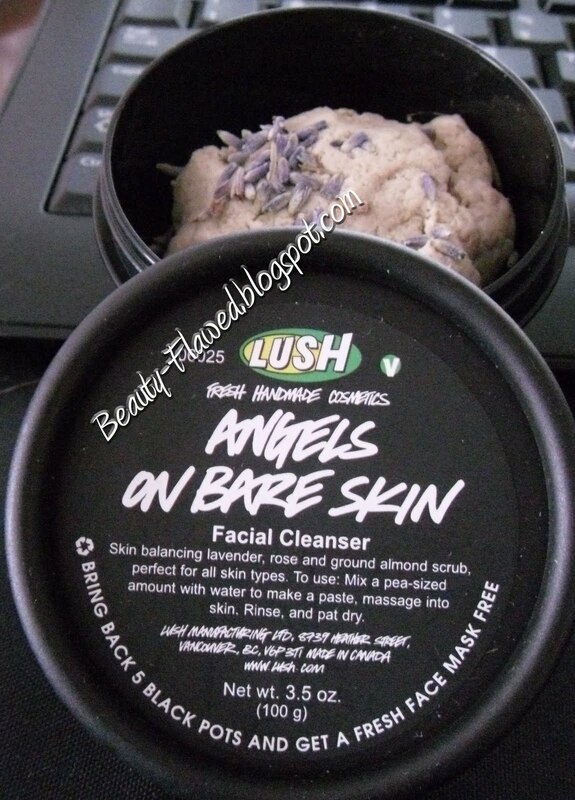 Here is my second favorite cleanser from Lush called Angels on Bare Skin and it really is just that. 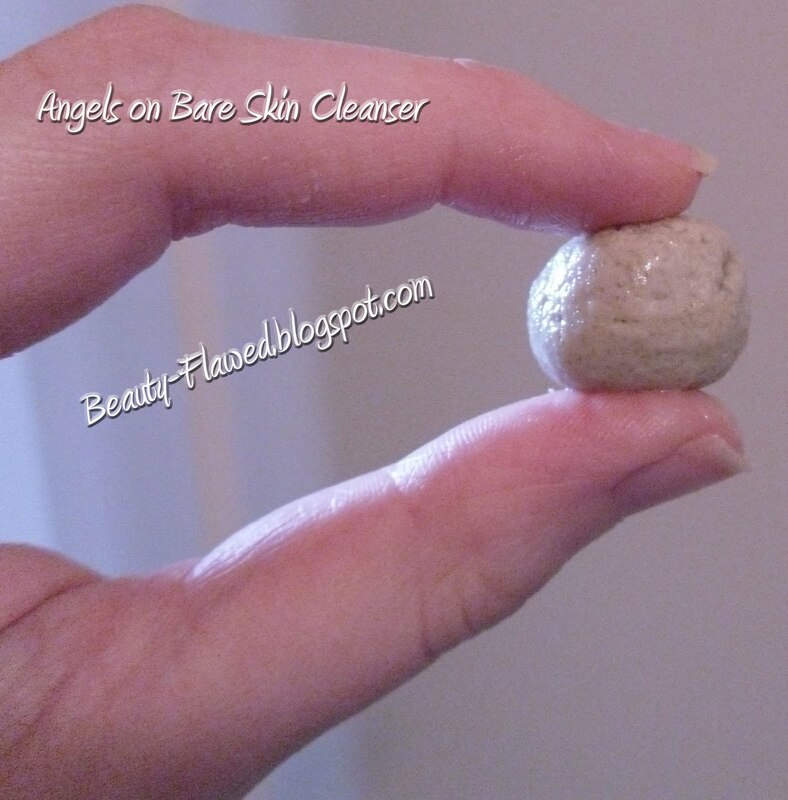 Angels leaves your skin feeling clean and moisturized at the same time. I discovered this on that same trip to Lush to find Ocean Salt. I was interested in this one because I had never heard of a cleanser that was made as a log roll, had little to no packaging, and could be turned into a paste that would work wonders on the skin. In my skin routine I use Ocean Salt in the morning and Angels on Bare Skin at night, I do this because I really like what both of them do for me and I'm pretty indecisive so its just easier for me to use both instead of picking sides. Angels I feel has helped tighten up my pores and give me that airbrushed finish in real life. It has ground almonds in it too so it gives you a very soft exfoliation almost to the point where your not sure it actually does that because it is so gentle. This really couldn't be a more heavenly product. Gentle exfoliation from the almonds topped with the cleansing properties of Kaolin and followed by the Lavender and Rose to calm skin really does make it a product that could work for all skin types. It also smells really good like lavender and oatmeal, I love the smell and one of the reasons I use it is because it just smells so good. Now learning to use this product can be tricky if you haven't ventured into the solid cleanser world before. You want to use a dime size amount, about half of what I have pictured below. I used a bigger piece just so you guys could see everything better. For a dime sized ball I would add two to three drops of warm water, remember less is more with the water because you want to make a paste not a soup. I went overboard with the water on my first attempt with this and had a sloppy soup cleanser... Live and Learn. Anyway once you make it into a paste its super easy to get onto your face and it doesn't run or get all over, which is also a advantage it has over liquid cleansers. You can either rinse it off after you've rubbed it all over or you can let it sit for about 5 minutes to make it into a quick face mask for extra cleansing and softening. I wouldn't let it dry tho if it gets hard it is a pain to get off. Once rinsed off some people have said they feel a film on their skin and I can understand this but this really isn't a dirty bad for you film its locking in your skins own moisture so its a good for you keep me film and once your face is dry you really can't feel it. I can sometimes get away with just washing with this and not using a moisturizer after. I really love this product and if you looking for something that wont be abrasive but still give you exfoliated, soft and glowing skin Angels might just be the cleanser for you.